We know too little about Laos. The big shadows from neighboring countries like Thailand or Vietnam somehow contribute to the unpleasant fact that most of the travelers just know about it through the map. However, secrets make the land. 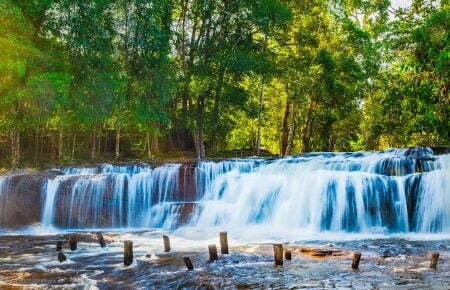 The more mysterious Laos is, the more explorers want to throw themselves to this country. An undiscovered wonderland is waiting for you! 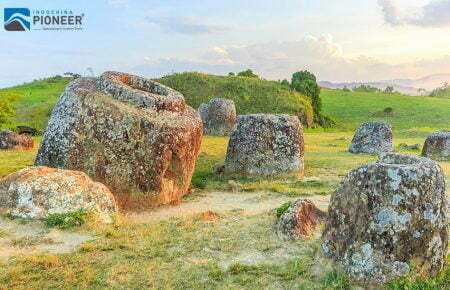 If you start your Lao trip with no high expectation, just like us, we can confirm that Laos is actually a hidden diamond. 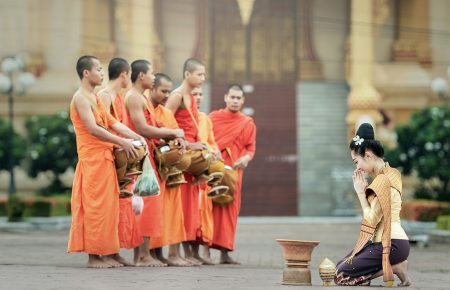 Embarking on a road trip through Laos, starting from Luang Prabang, you will find a bunch of cool things to do, which can make you go “Wah-Lao” so many times. 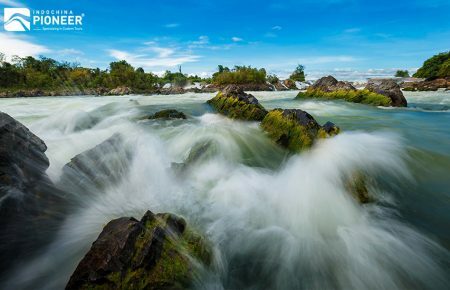 Designated as a UNESCO World Heritage Site in 1995, this city of life and vibrancy is best known for its cascading waterfalls, Mekong River and the core city of Laos for culture and history. 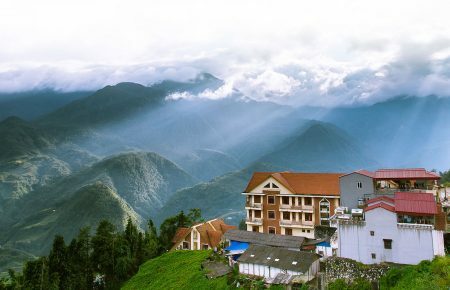 Located north of Laos, Luang Prabang has plenty to offer to the world. 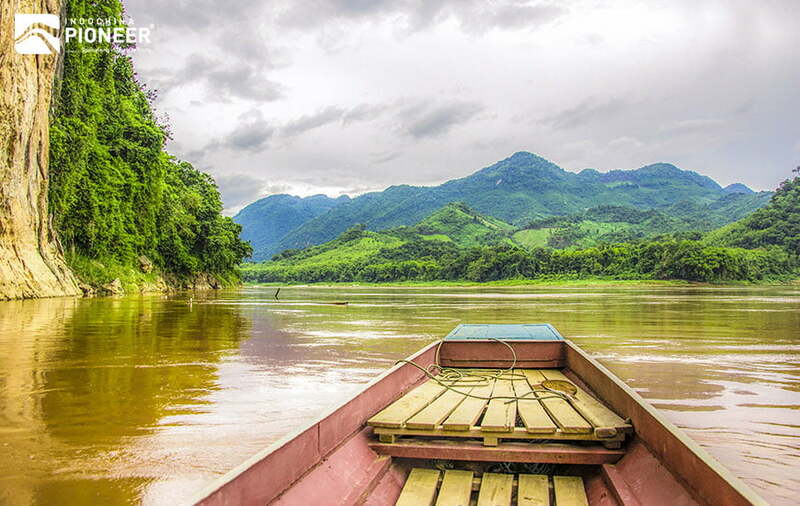 If you have the luxury of time, stop by the Mekong River for a calming 1-hour cruise. It looks underwhelming in pictures, but like the Grand Canyon, the beauty of the Mekong River can’t be adequately captured in pixels. You must feel it. Sailing along the world’s 12th longest river is definitely an experience that is hard to forget. And the landscape is not the only reward, you will also have the chance to watch the local life going on in Lao countryside, and enjoy the hospitality, with locals waving and smiling warmly as you pass. … and you’ll be rewarded with this view from 150 meters above the city center! And it is a breathtaking view across the city and its neighboring mountain peaks. Give this iconic place a visit when the golden hour strikes for a picturesque shot that will make all your Instagram followers jealous. 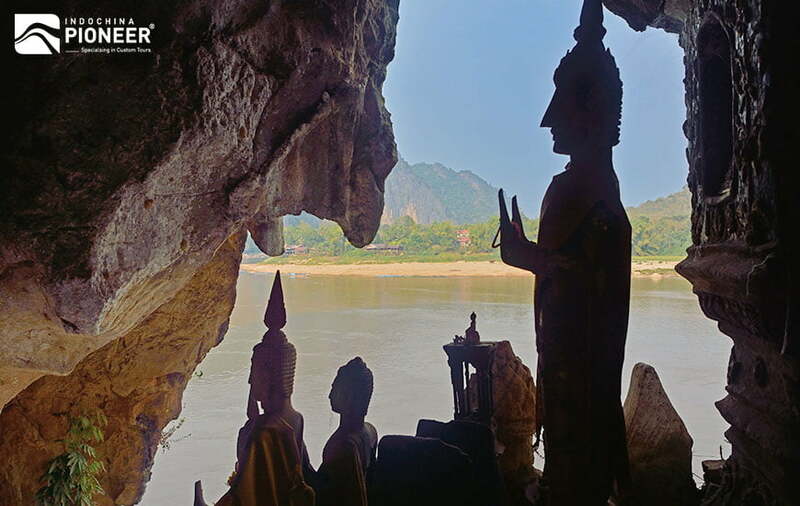 Located 25km away from Luang Prabang itself, the Pak Ou caves are a stop you should not miss for a wholesome cultural experience, even if you’re not a Buddhist. Furthermore, these caves are only accessible via boat, making them extra exclusive! 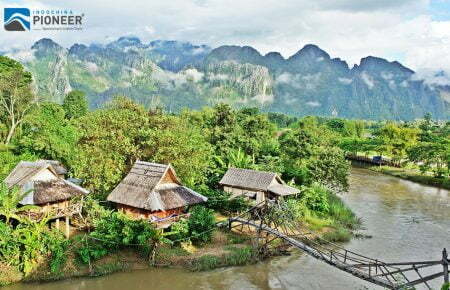 Pak Ou consists of two caves, namely the Tham Ting (lower cave) and the Tham Theung (upper cave). The caves are noted for their miniature Buddha sculptures. Hundreds of very small and mostly damaged wooden Buddhist images are laid out over the wall shelves. They take many different positions, including meditation, teaching, peace, rain, and reclining (nirvana). 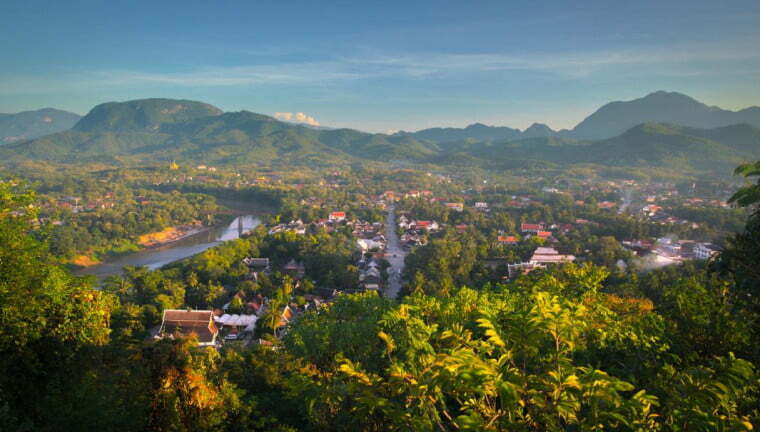 Luang Prabang is a sleepy town with a peaceful charm, so you should not expect vibrant nightlife filled with clubs and DJ’s music. But you will get a reason to go out every-single-night. The addicted night market! You will never fail to uncover something new and interesting to buy each night. 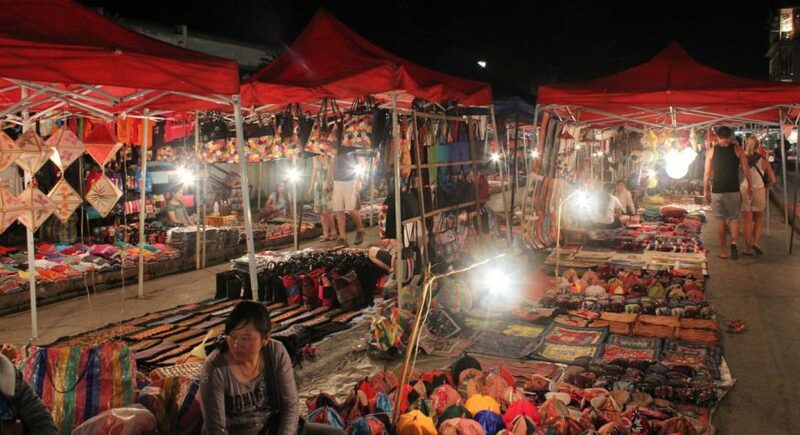 This market mostly caters to travelers and handicraft lovers. You can find patterned silk scarfs, blankets, wooden bowls, unique garments, lanterns, and accessories here. 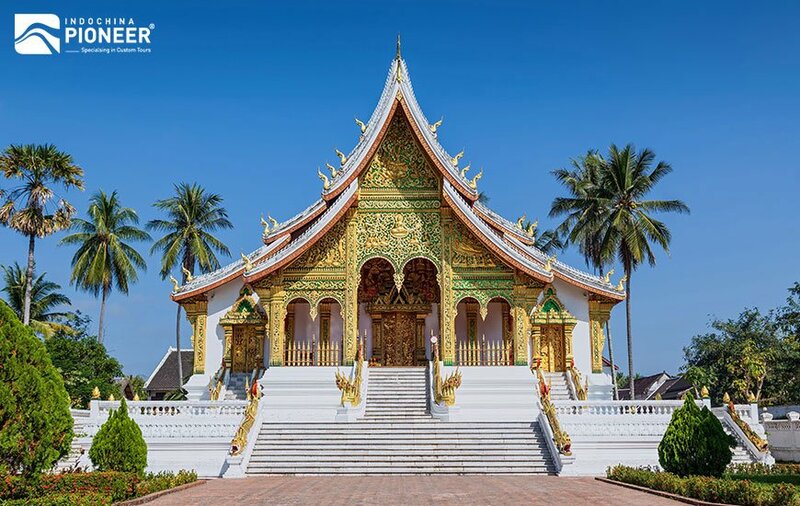 Built in 1904, this historical building used to house the King of Luang Prabang in the olden days. Now, it stands tall as a home of culture and the arts. This place was only converted into a museum after the monarchy was overthrown by the communists in 1975. 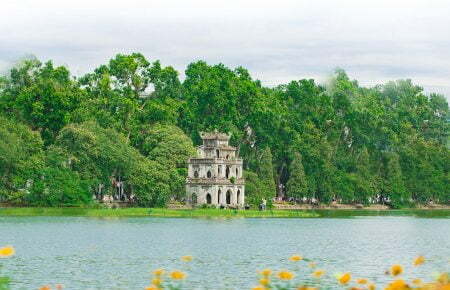 You will fall in love with the intricacy of the building structure. With everything handcrafted from scratch during a time of no machines, this is impressive. 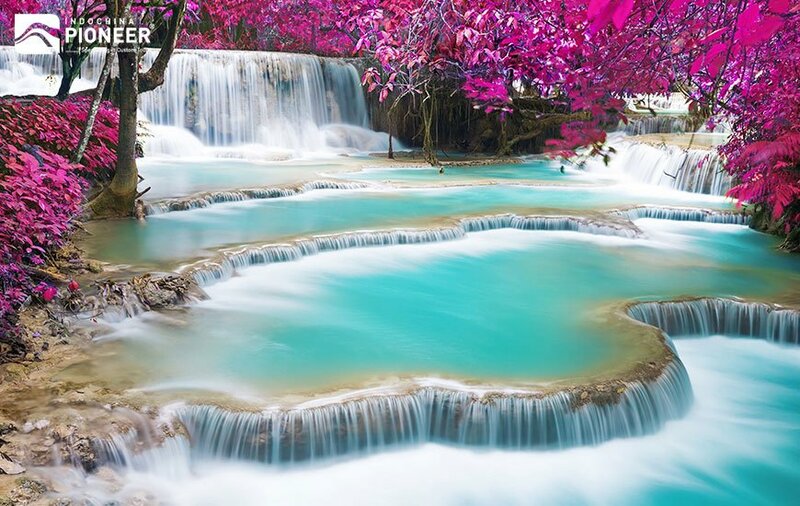 Breathtaking cascades of water make the Kuang Si one of Luang Prabang’s most popular tourist attractions. The journey to the waterfall is worth taking time over with vistas across rice fields and the opportunity to meet locals along the way. A Hmong village is a great place to stop where the older female villagers still dress in traditional costume, you can also purchase their hand-woven crafts to take home as a souvenir. The entire park is filled with shallow pools located all over for you to take a dip in, with a few pools closed for religious purposes. The falls are made up of three tiers, with each building up to the steepest of them all with a 60m drop. Like in Cambodia and Thailand, riding a tuk-tuk is one of the easiest ways to get around Luang Prabang. Not only is it convenient and quick, prices can always be negotiated. The tuk-tuks in Laos also feel safer and are more spacious! 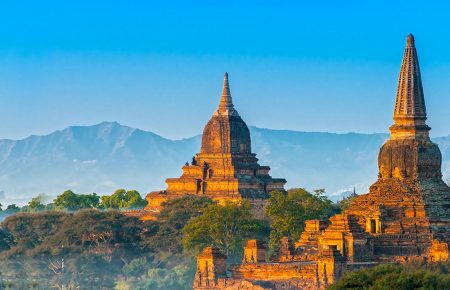 See the very best of Laos: Old Town of Luang Prabang, Capital City Vientiane and the marvelous 4 thousand Islands in Pakse.